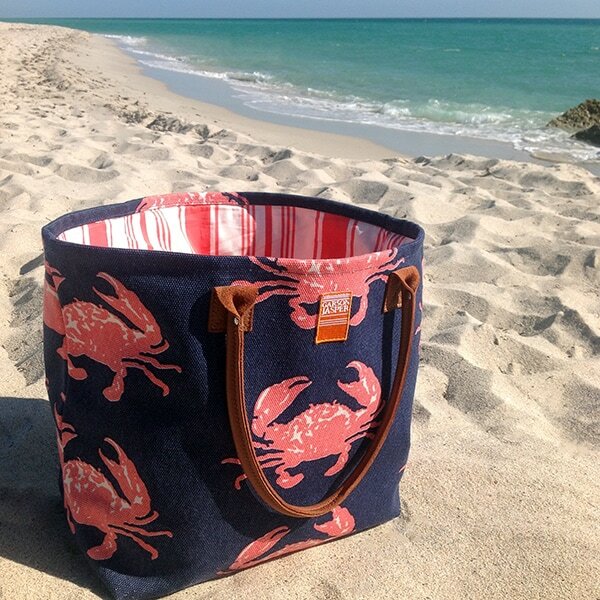 Vibrant and summery, our sturdy 100% cotton canvas Island Tote is the perfect companion to the beach, the market, or onto the boat. 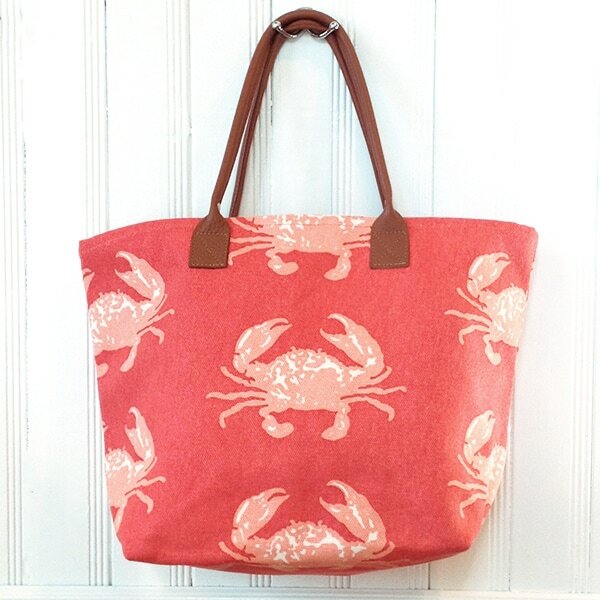 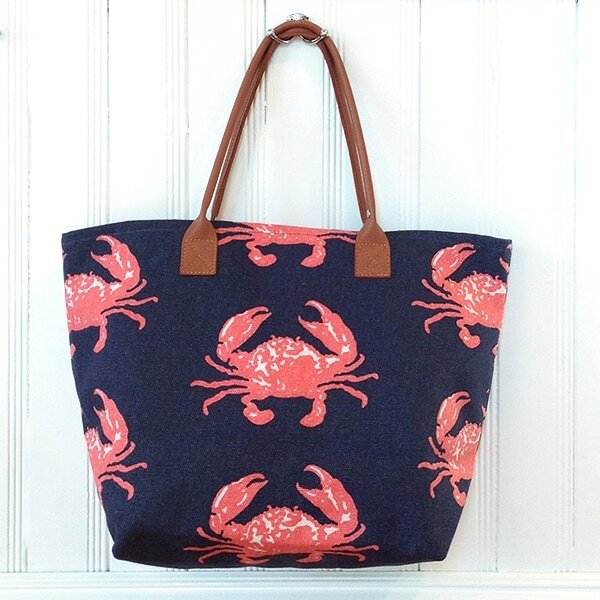 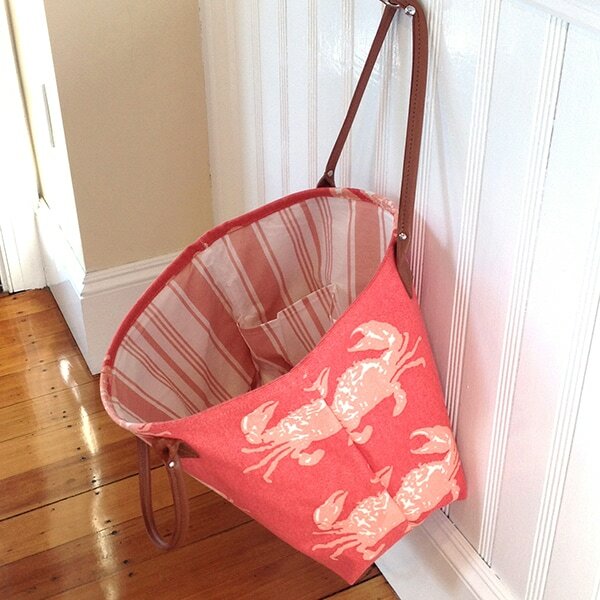 Our original crab print is handprinted using eco-friendly materials and methods and is crafted locally in New England. 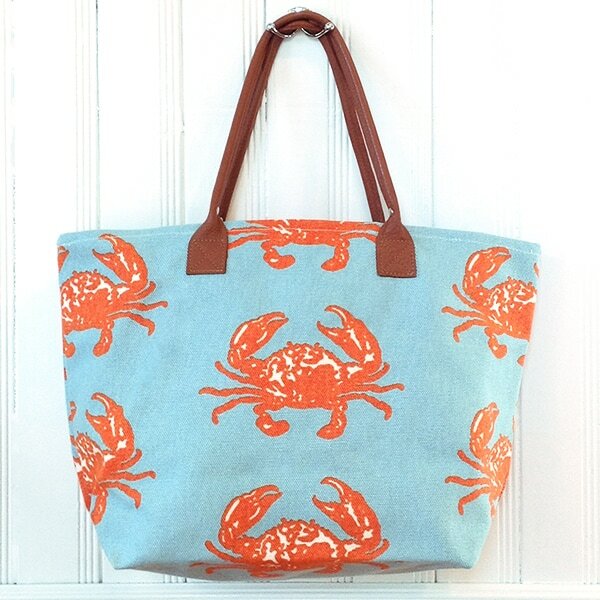 Buttery soft brown leather handles are well-proportioned to wear comfortably on the shoulder. 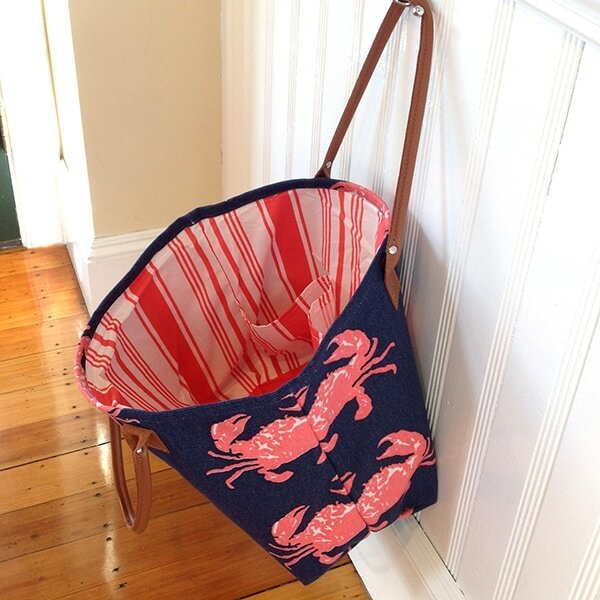 Coordinating 100% cotton stripe lining features three storage pockets to organize your phone, wallet, and sunnies. 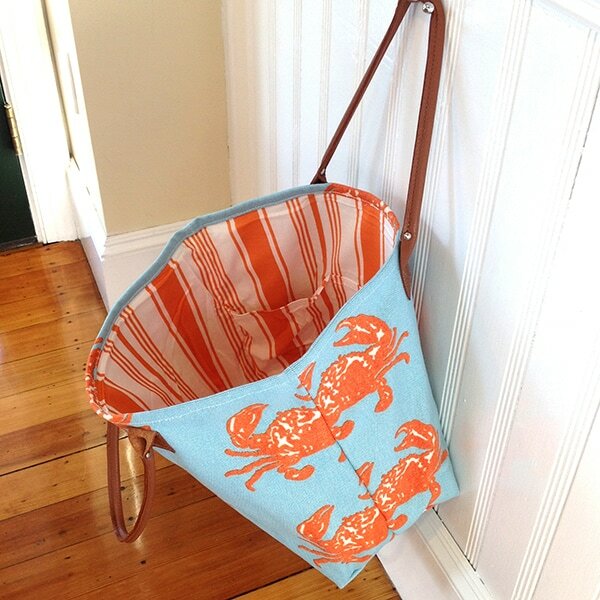 Bag measures .